Dave and Bill tested a couple of new baits on a fun trip with friends. Bill loves what lake Erie has to offer. Born and raised in Northeast Ohio he has a tremendous amount of on the water experience. ​Bill's passion during the summer is finding and catching walleye out of Geneva Marina. This passion is shared with his three boys Jimmy, Danny, and Billy (also known as Walleye Willy). ​Bill started in the water at a very young age and grew through a hobby of scuba diving. Bill unlike most captains started from the ground up through the water as he holds a Scuba Divers International Master Certification. Calm and tranquil would describe Bill's approach to walleye fishing. Bill has a tremendous respect for Lake Erie and is the perfect person to help teach you some of the systems, techniques, and trades to catching walleye aboard The Addiction. This is a family business shared with Bill's three sons. 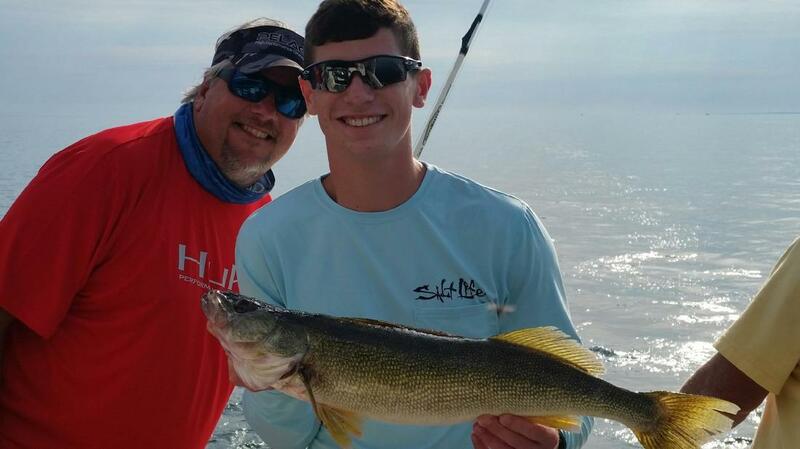 On certain trips when Danny and Billy are not studying they love to share time relaxing and enjoy catching walleye, steelhead, smallmouth bass, and yellow perch. Last October the perch bite was off in front of Geneva Marina with a couple weeks left in the season before the final summer days of The Addiction the quest for steelhead was on. Half day trip produced some great steelhead fishing. Weekends for Bill are shared with friends and family enjoying everything that Geneva, Ohio has to offer. This is a great place for family especially Geneva on the Lake. Take some time to relax at Geneva on the Lake State Park Lodge and enjoy a Sunset cruise aboard The Addiction finishing a great weekend. Bill and his crew can offer a variety of trips but most importantly focus on family. Bill believes in teaching, and sharing techniques while on your trip. Book your trip today aboard The Addiction. Over 40 ft in length with a wide beam. She is powered by twin 454 big blocks. The ride on rough water is second to none. 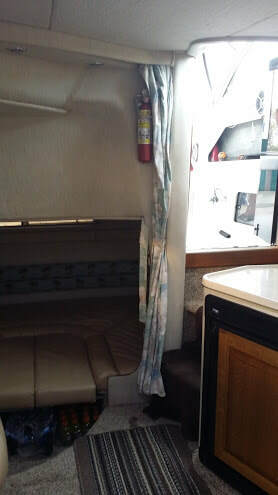 Her unique layout accommodates a huge salon for your comfort. 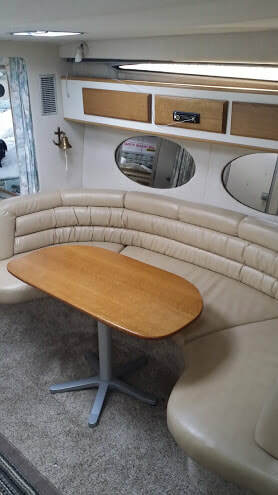 You can sit on a contoured couch or just relax in the aft berth. 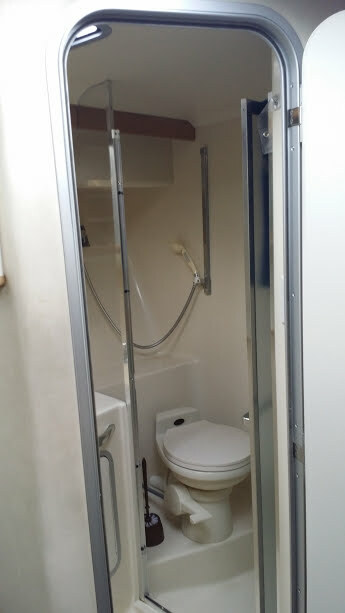 For added use she has a full size enclosed bathroom. 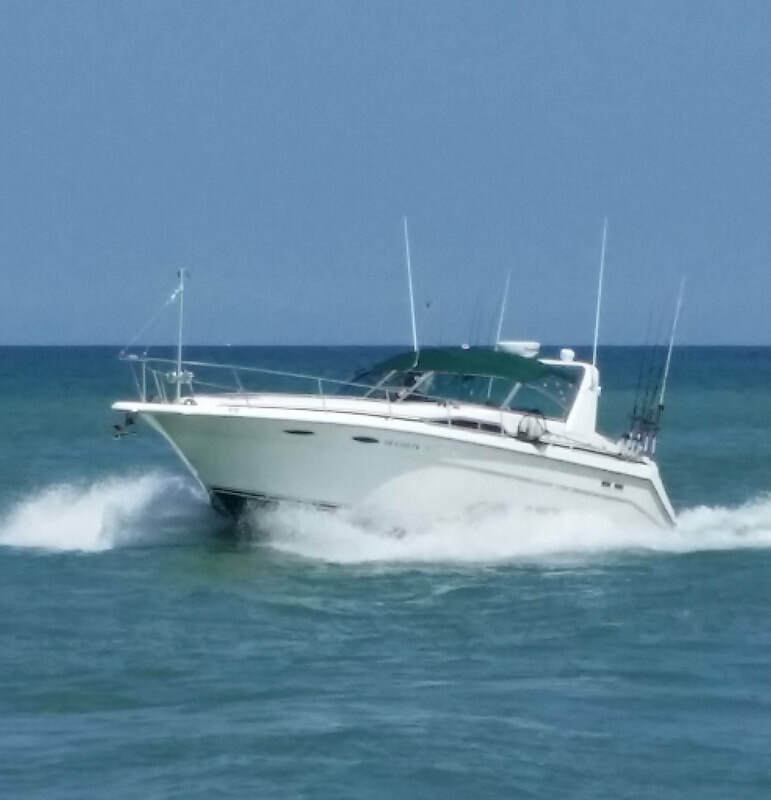 This vessel is set up with Raymarine electronics, autopilot, radar and all safety equipment. Wicked Walleye Charters uses the best equipment for fishing from rods to reels enjoy her comfort reeling that fish of a lifetime. ​Dave has been fishing all of his life. From a very early age Dave's father and uncle introduced walleye fishing to him in Vermillion, Ohio. 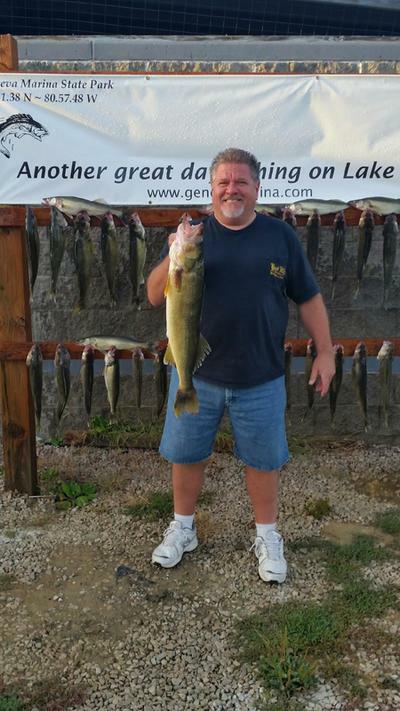 In the early 90's Dave dedicated himself to catching walleye from Geneva, Ohio at the time the Marina was newly built and offered a great setting for fishing and family activities. Dave spent family weekends experiencing the Grape Jamboree, Geneva on the Lake, Ohio Wineries, and truly great people. Geneva Ohio is a great place to unwind and relax. In 1997 Dave introduced this experience to Cherie and in 2003 they were married on the docks at Geneva marina with the event being shared by all. Through the decades walleye fishing is a great escape from our busy lives with it all starting with friends enjoying the experience and catching walleye. Dave believes in teaching the basics of walleye fishing but more importantly sharing the experience with friends and family. If you are just a beginner or looking for tips and tricks Dave can help. 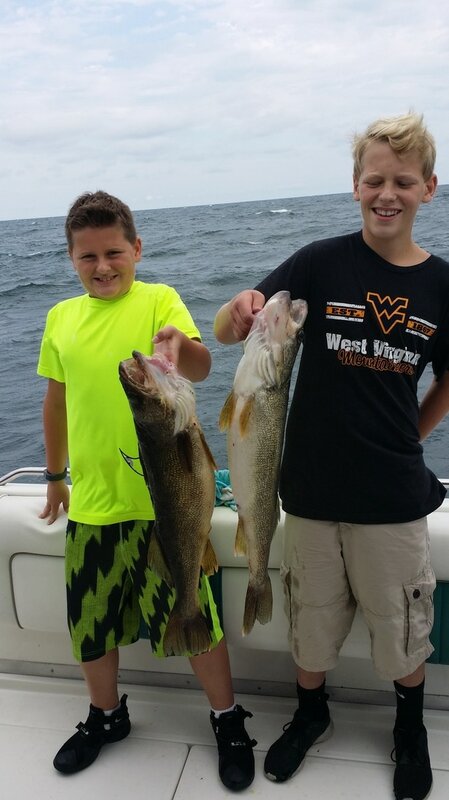 Wicked Walleye Charters is driven to give you the best experience in family fun, or if you are a seasoned angler we can put the trip in "Tournament Mode"
Book a trip today as we offer limited charters through the season. 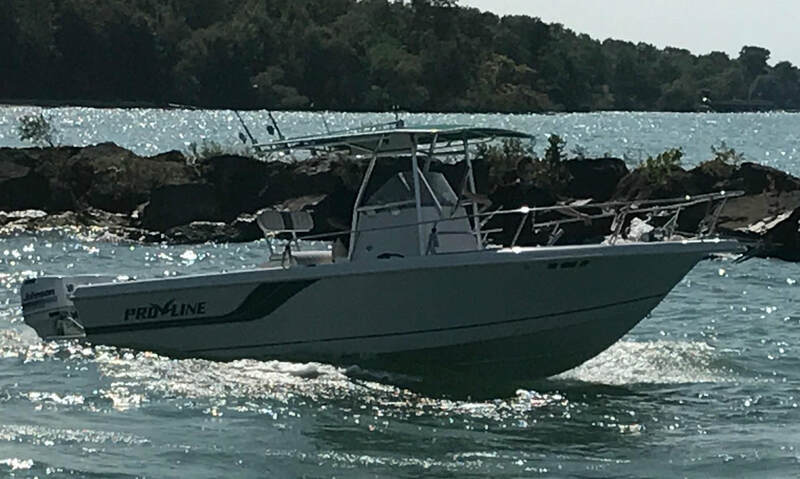 24 Ft in length powered by twin 150 HP outboards. 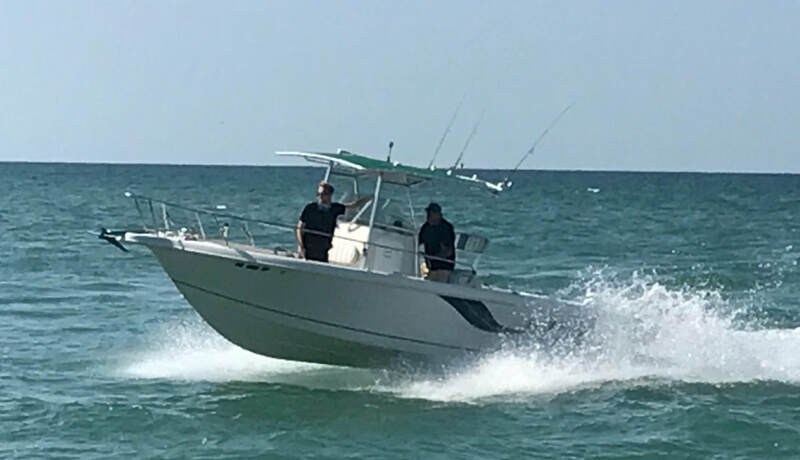 This center console gets you to the fishing grounds in minutes with a cruising speed of 35 MPH, she is fast! 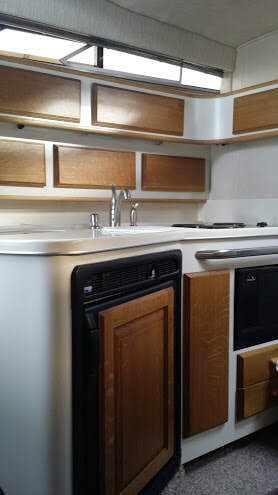 The layout of this boat allows for 360 degree fishing platform front to back and all around. 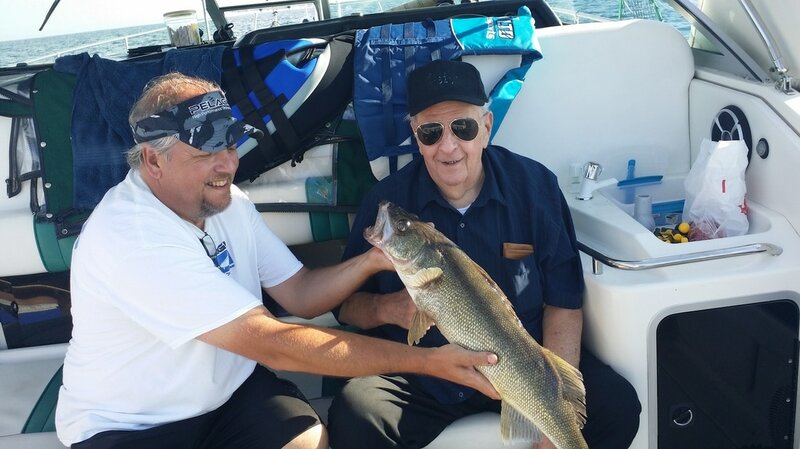 Wicked Walleye Charters can accommodate that special trip shared by two people fishing Lake Erie for Walleye, Smallmouth Bass, or Yellow Perch. The battle of Lake Erie fought on September 10, 1813 between nine United States Navy Vessels commanded by Oliver Hazard Perry and six vessels of the British Royal Navy. This battle sometimes called the Battle of Put-in-Bay. The battle lasted 3 hours and was instrumental with the Amercans to recover Detroit and win the Battle of the Thames to break the Indian confederation of Tecumseh. The Battle of Lake Erie was one of the biggest battles of the war of 1812. ​We ran by one of the tall ships coming from Fairport Harbor on it's way to Erie. Lake Erie is the incubator for the Great Lakes. Of all the Great Lakes, Lake Erie is the shallowest and has more consumable fish than the other Great Lakes combined. 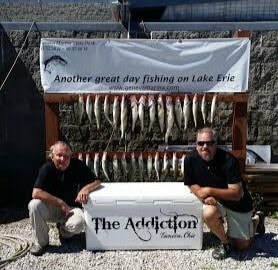 Lake Erie "The Walleye Capital of the World"